Josue Lajuenesse deserved his own film. One of several subjects of Patrick Shen’s The Philosopher Kings (SDAFF ’09), Lajuenesse is a janitor at Princeton by day and a taxi driver by night. 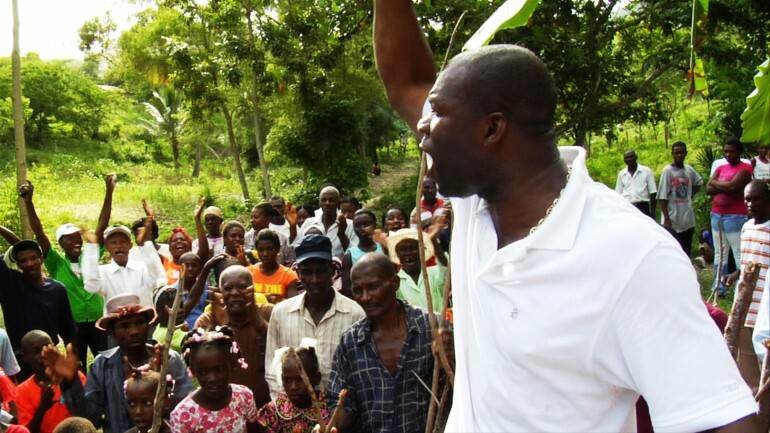 When his mind isn’t on raising his teenage kids, it’s on fulfilling a life dream: to bring clean water to his hometown in Haiti. Narrated by Don Cheadle, LA SOURCE is not uplifting simply because it’s about a noble cause; it is uplifting because Lajuenesse lifts us up, just as he does his countrymen when he rouses them into action.